SPW054711 SCOTLAND (1937). 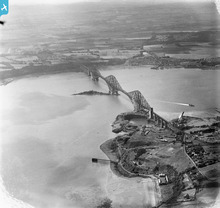 Firth of Forth, general view, showing Forth Rail Bridge and North Queensferry. An oblique aerial photograph taken facing south. 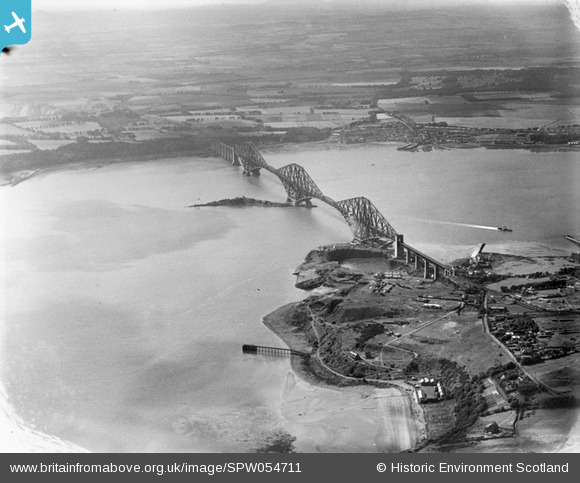 Title [SPW054711] Firth of Forth, general view, showing Forth Rail Bridge and North Queensferry. An oblique aerial photograph taken facing south. A car ferry, the only way to cross (up to the early 60's) other than by train over the Forth railway bridge or a very long drive to the Kincardine road bridge.